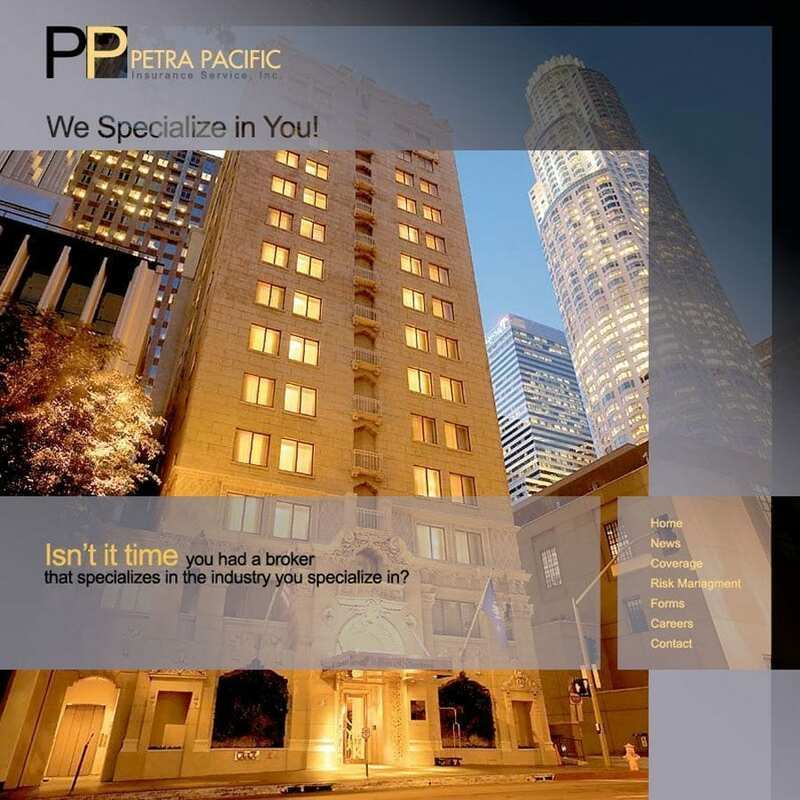 Custom built Content Management System (CMS) designed and developed for Petra Pacific Insurance, a corporate website, client portal and resource training website: Included in the project is a corporate newsletter with archive, dynamic contact page, PDF download page and many other features like video training. 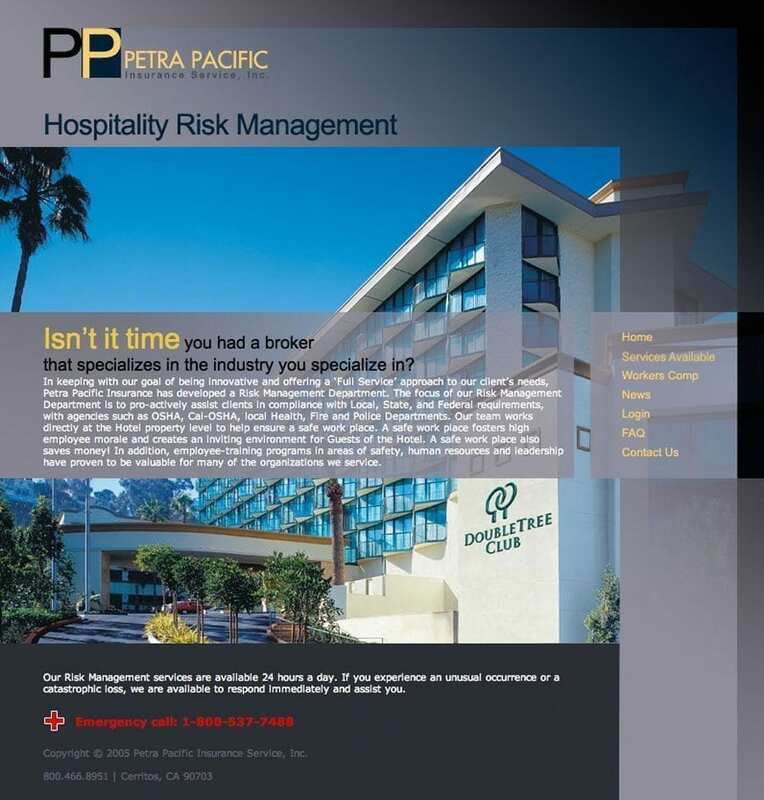 Over 2000 hotel clients make them one of the largest hospitality insurance brokers in the Western United States. 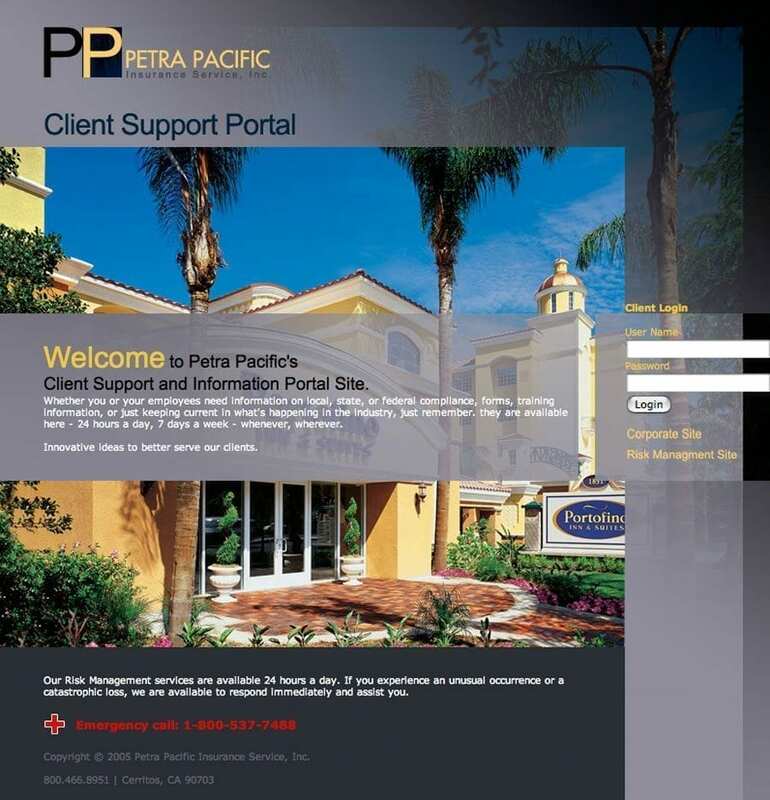 Like many of our clients, Petra came to us with a very old and badly designed web site. We learned what it was that they were looking for and came up with many new ideas that they never thought of. Our design team not only met the needs of the Petra but we come up with new ideas for them to make their web site do more for clients. Corporate, Client Portal and Support.